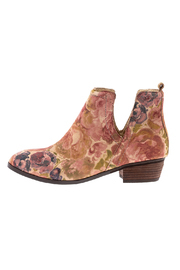 Suede floral bootie with a stacked heel and cut-out sides. Approx. Measures: 1" high.